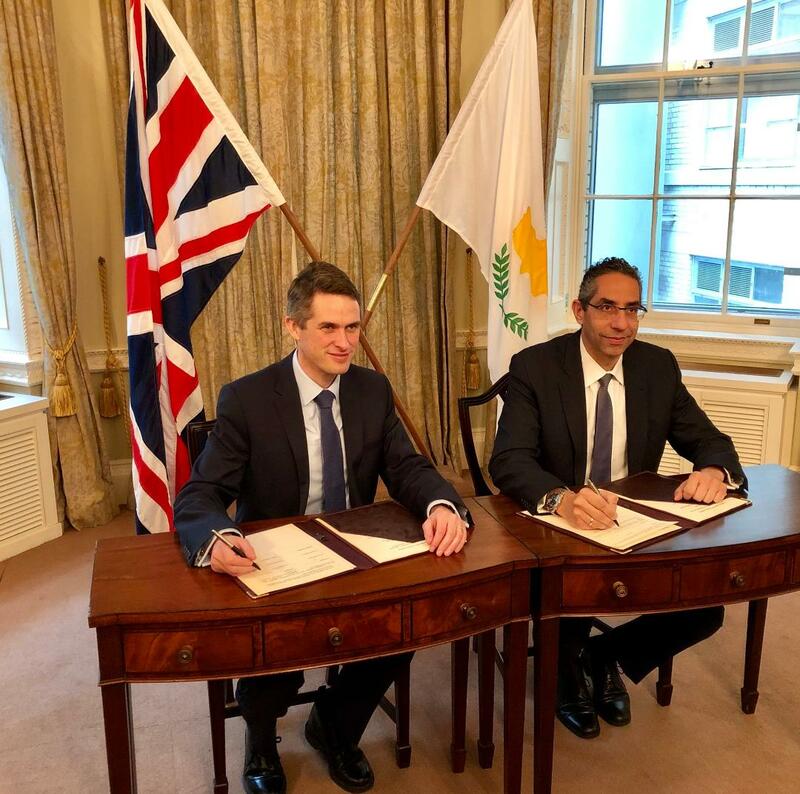 A new memorandum of cooperation on defence and security was signed in London on Thursday between the UK and Cyprus. The memorandum has been described by both parties as an “upgrade” of the existing defence and security joint work. It covers a wide array of synergies such as joint defence exercises; expanded sharing of expertise and logistics collaboration; getting Cypriot officers enrolled in British military schools; joint projects on technology and R&D; cyber-defence, cyber-security; arms and more. Significantly, it sets a long-term framework for the development and deepening of the defence and security bilateral ties. “It does away with the need for yearly renewals of our cooperation agreements with the UK,” a Cypriot diplomatic official told IBNA. The signing of the memorandum was the main purpose of the Cypriot Defence Minister’s two-day visit to London this week. Mr Savvas Angelides and his UK counterpart Defence Secretary Gavin Williamson were all too keen to get this deal done. “It constitutes a confirmation of the recognition by other countries of the role that Cyprus plays as a pillar of stability in the Eastern Mediterranean region, as a reliable partner,” Mr Angelides said. As for the British side, reiterating its commitment to the security of Eastern Mediterranean and of Europe more widely is considered an important undertaking in view of Brexit. “It reaffirms London’s devotion to the European security despite all the acrimony over the EU exit,” a defence expert commented. On the first of his visit to the British capital, on Wednesday, the Cypriot Defence Minister addressed a diplomats and security experts audience at RUSI.